Why it matters: Seagate claims to have the first 16TB 3.5-inch hard drive. The mass-storage device is intended for use in data centers and is currently still in testing. It uses the company's proprietary HAMR technology, which can more densely pack bits on a disk. Seagate announced that is has achieved another milestone with its heat-assisted magnetic recording (HAMR) technology. It claims to have successfully tested the “world’s first formatted and fully functioning 16TB hard drive … in a standard 3.5-inch form factor.” The company predicts that it could exceed 20TB before year end 2020. The new HAMR-based version of its Exos drive is aimed squarely at enterprise customers for now. Its tests have confirmed that it functions as any other plug-and-play enterprise drive on the market. Therefore, no changes to current data center architectures are required to integrate the new drives. Seagate’s HAMR technology uses a tiny laser diode on the recording heads to heat a spot on the disk. This technique allows the recording heads to flip the magnetic polarity of each bit written. The data bits, or “grains” as Seagate calls them, can then be packed more densely onto the magnetic media while remaining extremely stable. The newest HAMR hard drive is still in early testing, but so far Feist says it is meeting all expected benchmarks including power efficiency, SCSI device command tests, and “several four-corners tests,” which focus on read, write, random, sequential, and mixed workloads. Seagate does not yet have a launch window or price set for the 16TB drive. However, with its 14TB Exos drives having just released in September and its focus on a 20TB sometime in 2020, we can probably expect the enterprise device sometime next year at a fairly hefty sum. 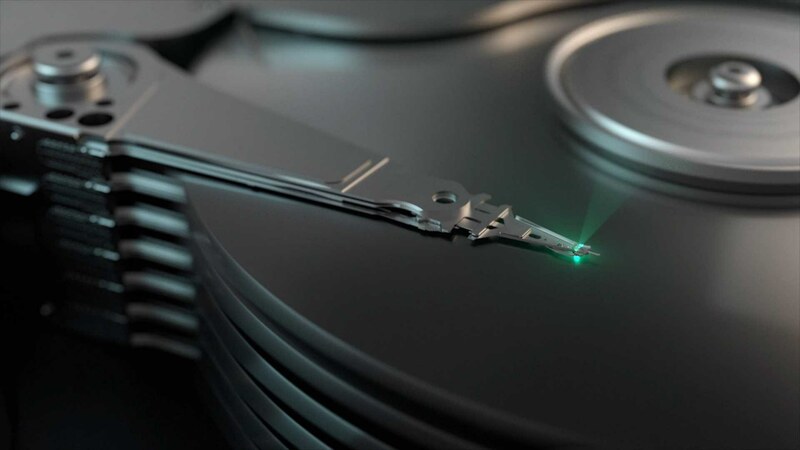 There is no word on a consumer-level equivalent at this time, but as indicated by Senior Vice President of Global Sales and Sales Operations BS Teh in the above video, the consumer market is part of Seagate's vision for HAMR drives.